A house that was the scene of a shooting last October was damaged in a fire Wednesday night (Feb. 14, 2018). 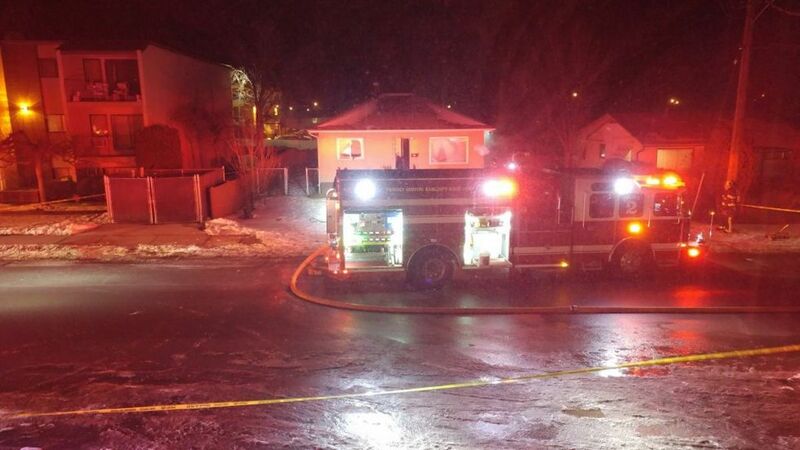 The basement of the house at 217 Nelson Avenue was rocked by an explosion but Kamloops Fire Rescue extinguished the resulting blaze. The fire is being treated as suspicious. On Oct. 23, two people were hospitalized after a shooting at the house, which had been the subject of several investigations.